Now that Costco has switched to accepting Visa credit cards, they’ve also partnered with Citibank to offer a Visa card called the “Costco Anywhere Visa Card by Citi”. 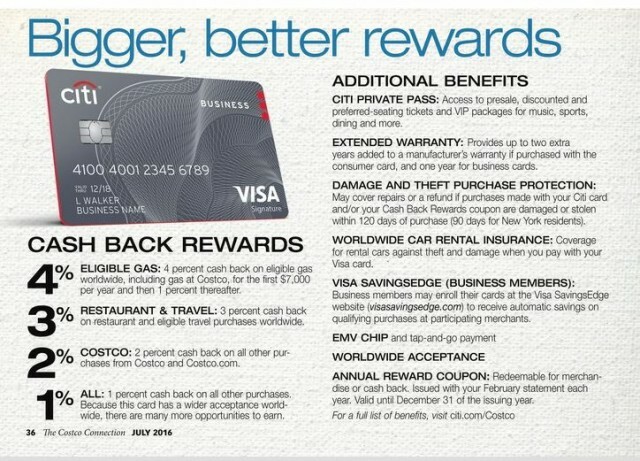 If you had the Costco Amex card previously, you should have received this new Visa card already. 4% cash back on eligible gas worldwide, including gas at Costco, for the first $7,000 per year in gas purchases and then 1% thereafter. Certain Non-Qualifying Purchases. You will only earn 1% cash back, not 4%, for gas purchased at superstores, supermarkets, convenience stores and warehouse clubs other than Costco or for fuel used for non-automobile purposes. 3% cash back on restaurant (including cafes, bars, lounges and fast food restaurants) and eligible travel purchases worldwide, including airfare, hotels, car rentals, travel agencies, cruise lines and Costco Travel. Certain Non-Qualifying Purchases. You will only earn 1%, not 3%, for purchases made at bakeries and certain restaurants/cafes inside department stores, grocery or warehouse clubs. 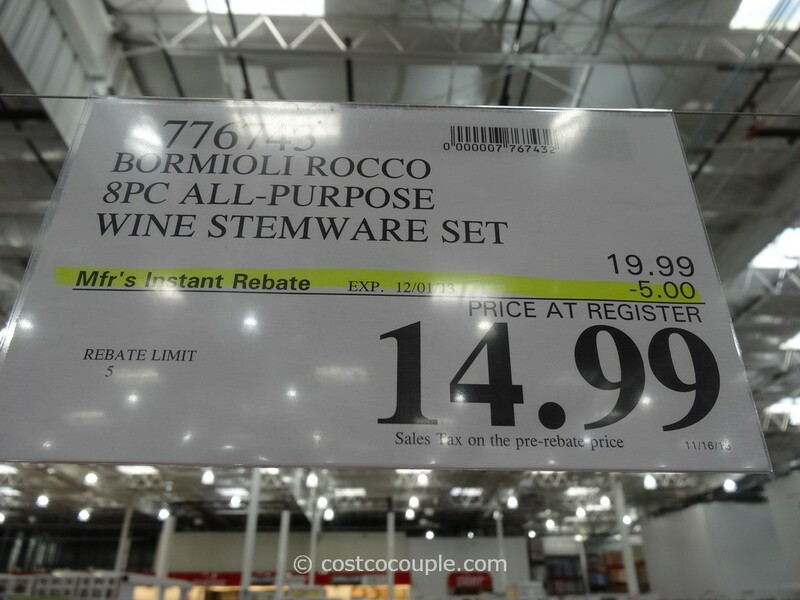 2% cash back on all other purchases from Costco and Costco.com. 1% cash back on all other purchases, including the non-qualifying purchases listed above. I think these are generous terms. Normally, we see offers for 2% cash back at best. 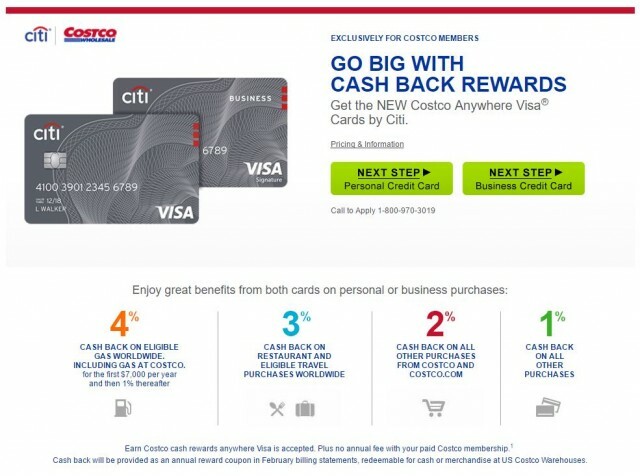 If you’re a Costco executive member, you’re already earning 2% cash back on your purchases at Costco and now, with this card, you get an additional 2% cash back for your Costco purchases made on this new Visa Card. That means you get 4% off everything you purchase at Costco without much effort. 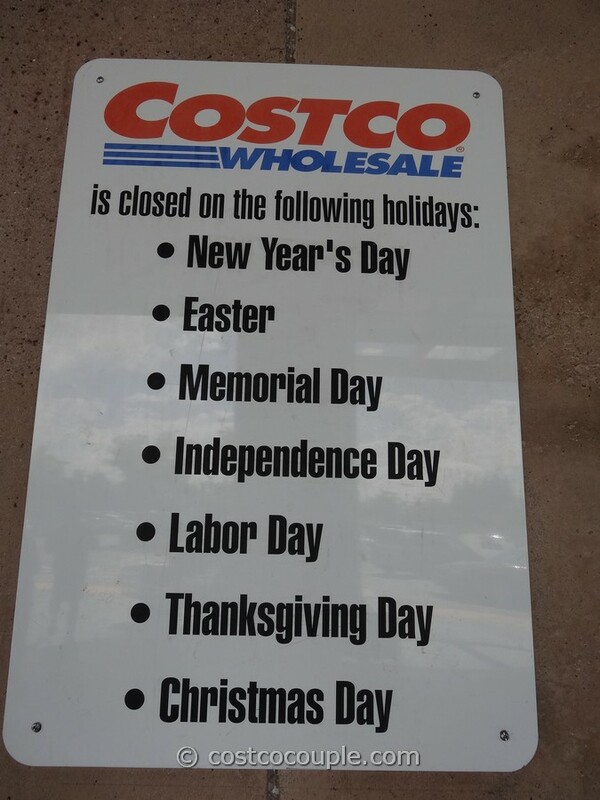 Overall, I think this card is definitely worth considering if you shop at Costco regularly. As an aside, if you have a Chase Freedom Visa Card, Chase is currently offering 5% cash back on up to $1,500 in combined purchases made at warehouses including Costco for this quarter (April to June) and the next quarter (July-Sept) as well. So, if you have the Chase Freedom card, you may want to take advantage of their offer first prior to using the Costco Citi card.